Following the launch of Apple Pay last year and banks’ continuing adoption of Touch ID, we are used to seeing Apple influence the way we bank. At the time of each launch, these innovations were not new to market, yet we saw mass market adoption for Touch ID and disruption to the payments industry for Apple Pay. The latest to hit the industry is the long awaited and much discussed Apple Watch. It follows the Android Wear platform which saw banks such as BNP Paribas, Nationwide and USAA launch the first apps designed for wearables. Here at Mapa we have had the chance to get accustomed to wearing the Apple Watch and do some everyday banking via our Mapa Account Holders. We found that ,unlike with any other device launch we have seen, there are already many banking apps ready for mass market adoption. Currently, most of the banks are only offering pre-login balance features in their first app release. The display is small and therefore most useful for information that can be digested at a quick glance, such as account balance and most recent transactions. Some of the banks who have included the balance view feature on their watch apps are Tesco Bank, USAA and Discover. It is worth noting that security is still tight: these banks only show information that the customer has actively selected to show in the pre-login area. 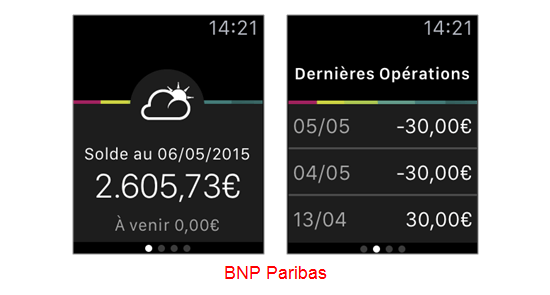 BNP Paribas has extended its popular weather balance feature to the watch. This displays the primary account balance as a range of different icons from sunny through to storms, based on thresholds set by customer. They have also taken their capabilities a step further by incorporating an overview of recent transactions and new message notifications into their watch app. The new message notifications would follow a live chat conversation on their mobile phone app. Another unique feature that they offer is a call function via the watch app, connecting their customer with an advisor. When a notification appears it will show automatically; if the user then holds it for longer, more detail is displayed. This way, banks can engage with customers throughout the day with financial health updates, balance warnings, spend limits, suspected fraud and even personalised offers. The number of banks who currently offer notifications on the Apple Watch is still small but we look forward to this number growing in upcoming releases. 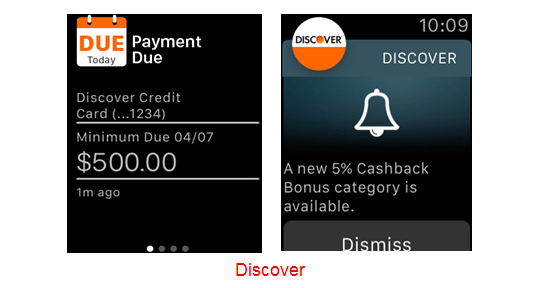 Discover is one of the first movers showing Payment Due date and Cashback Bonus offers. 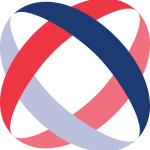 Other applications focus on account management. 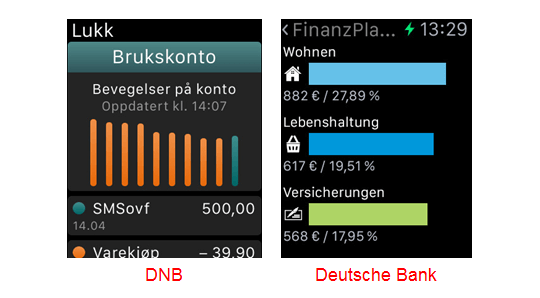 DNB (NO) show an uncomplicated graph visualising income and expenses, whilst Deutsche Bank customers can view their spend per category by swiping down. It is important to keep the user interface simple and keep in mind the context of use for the device. Wearable apps should stick to the essential, so as to not overcomplicate, and Personal Finance Management features should complement each other within an omni-channel experience. The leading apps allow customers to spend time re-categorising and viewing spreadsheets on tablet and simple, quick tagging on mobile. Smart Watch users will benefit from even smaller tasks to receive instant overview of their spending habits, on the go. For example, Moven launched their smartwatch for Android Wear to give real time feedback on spending. Alerts appear on the watch and action can be taken on the mobile app. We look forward to Moven’s edition of an Apple Watch app. 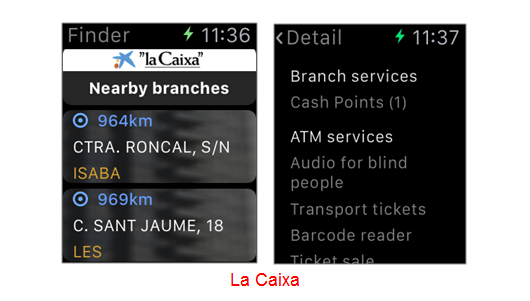 Some banks have started with non account related information at all, La Caixa currently only has a branch locator. Nearest branches can be viewed in a list and after selecting one, options appear to call and view the available branch services. The maps app can then be launched to access directions to the branch. Though LaCaixa is not alone to offer this feature, it is the most useful branch locator we have seen. For the early adopters of the technology these banks are already providing a useful extension of their mobile app. For a device so new, it is already a crowded marketplace with the banks outlined above ahead of their competition. Once consumers catch on, there will be opportunities for both established players and disruptors alike to significantly enhance the customer-bank relationship. Please contact us today for more information and access to “Apple Watch makes wearable banking mainstream – Six unique approaches”.